CEBRA architecture is a danish practice founded by architects mikkel frost, carsten primdahl and kolja nielsen in 2001. maintaining direct oversight of the firm's creative and professional development, CEBRA's founders have successfully established a strong reputation at home and abroad. the old church of valer, a small town in the southeast of norway, burned down in 2009 and has left a void in a cultural-historical site. 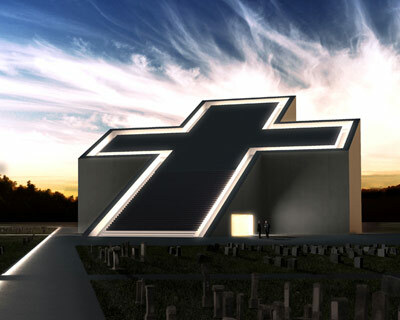 copenhagen-based firm CEBRA has created a proposal for its replacement derived from obvious religious symbolism as a leaning cross that rises from the ground. 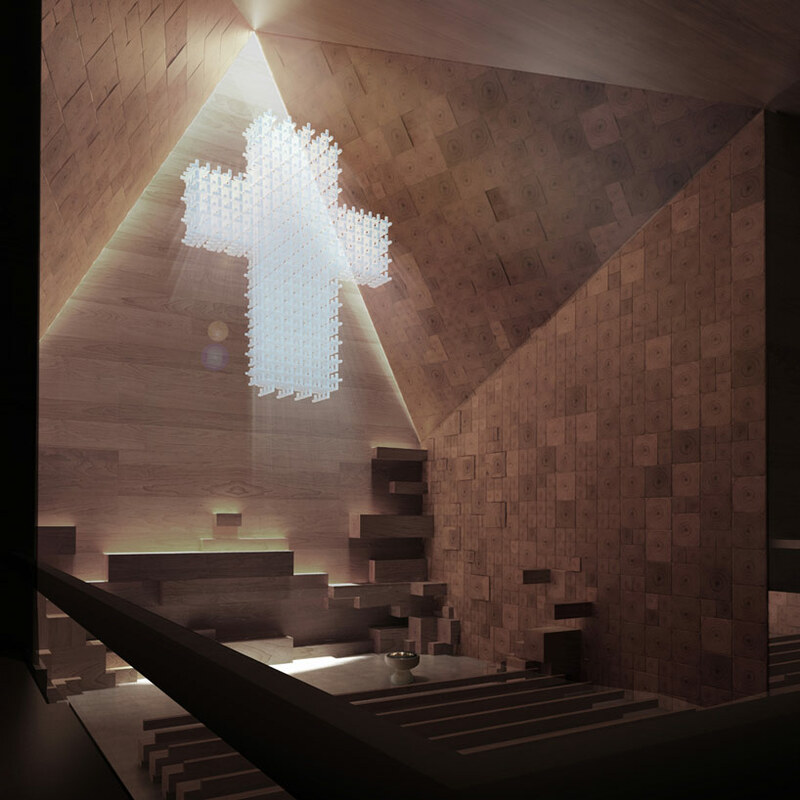 light and wood become the two most important building materials, merging a long standing norwegian construction history with the quality of sacred spaces required of a place of worship. 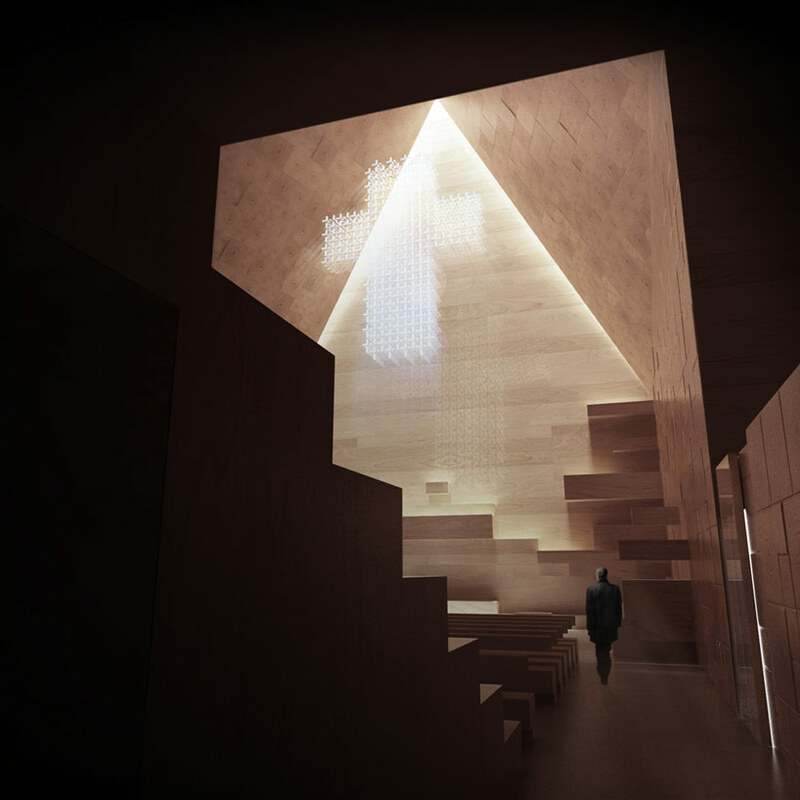 the particular shape of the cross also serves the building’s program as appropriately as it does metaphorically – an inhabitable ‘stairway to heaven’. the new wooden structure is built on the opposite side of a central walkway from the locationof the original chapel, where only the foundation remains in ruins. 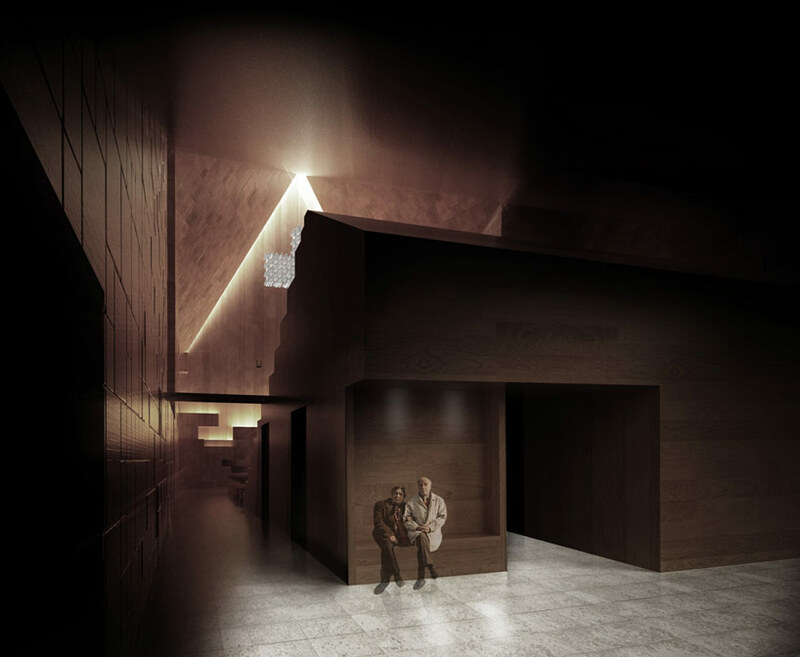 it creates a threshold between the cemetery and birch grove, and re-utilizes theoriginal footprint as a reflecting pool, reactivating and respecting its history. 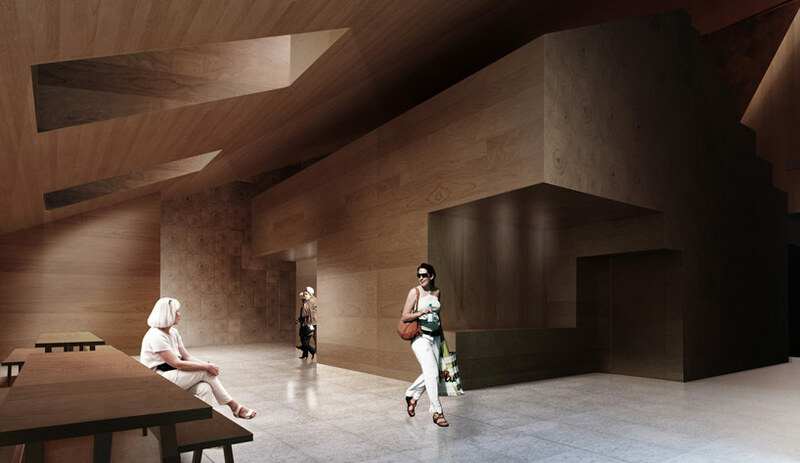 the interior and exterior use natural light as the other fundamental building block of space. 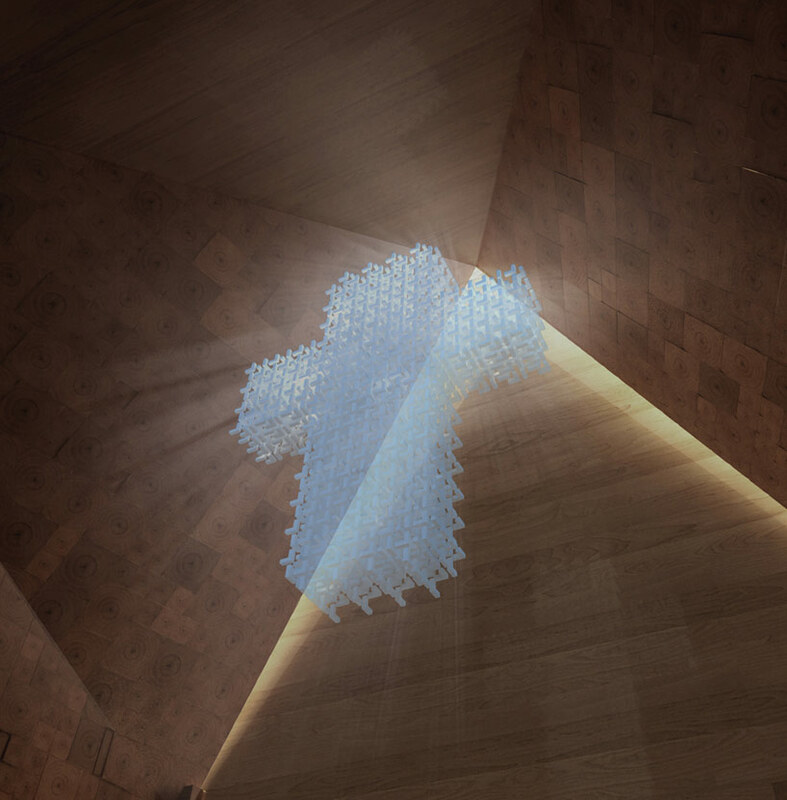 a combination of orientation, camera oscura, prisms, and peg mirrors capture and refract light to properly illuminate liturgical proceedings and ceremonies. 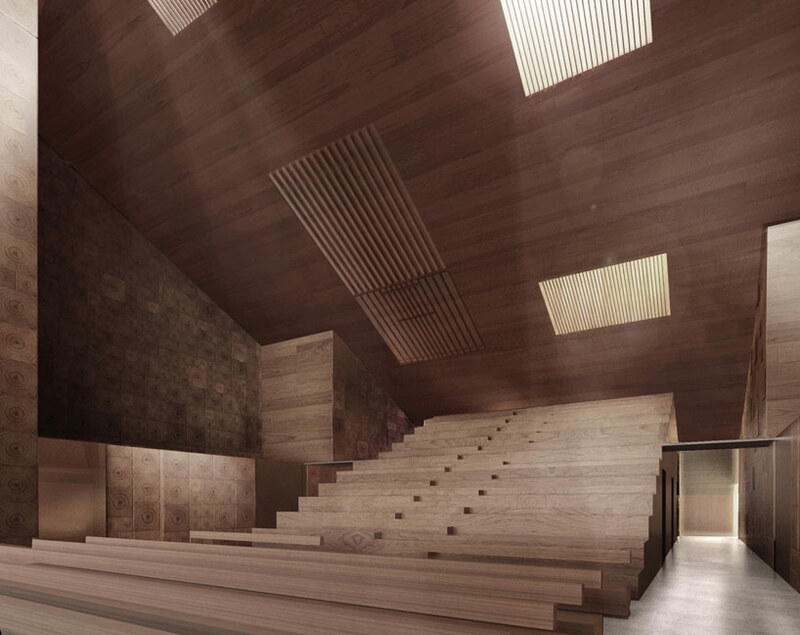 the light that falls upon the wooden interiorbreathes life into the program and gives depths to the halls, it is the soul to the structure’s body. 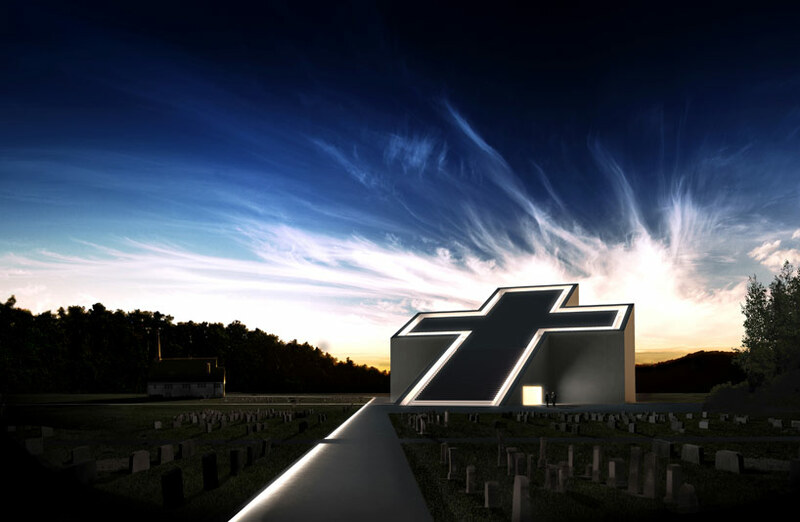 name: ny våler kirke commission: privatetype: competition entry client: vaaler parish councillocation: hovedveien, våler, no year: 2011 – closedpurpose: churchsurface area: 11.840 sq. ft.